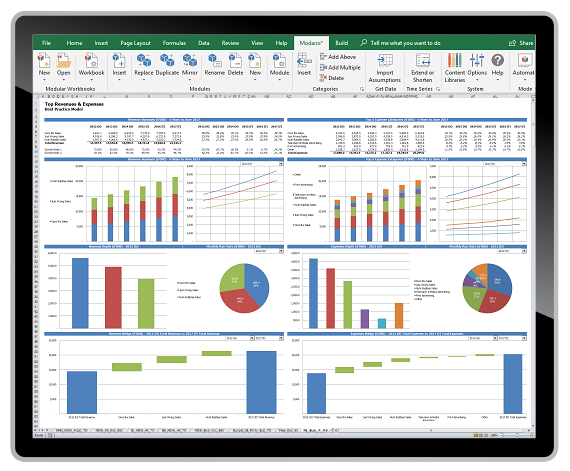 Modano has developed the first Microsoft Excel© add-in that transforms your Xero© data into a dynamic historical and forecast integrated 3-way financial model in minutes. 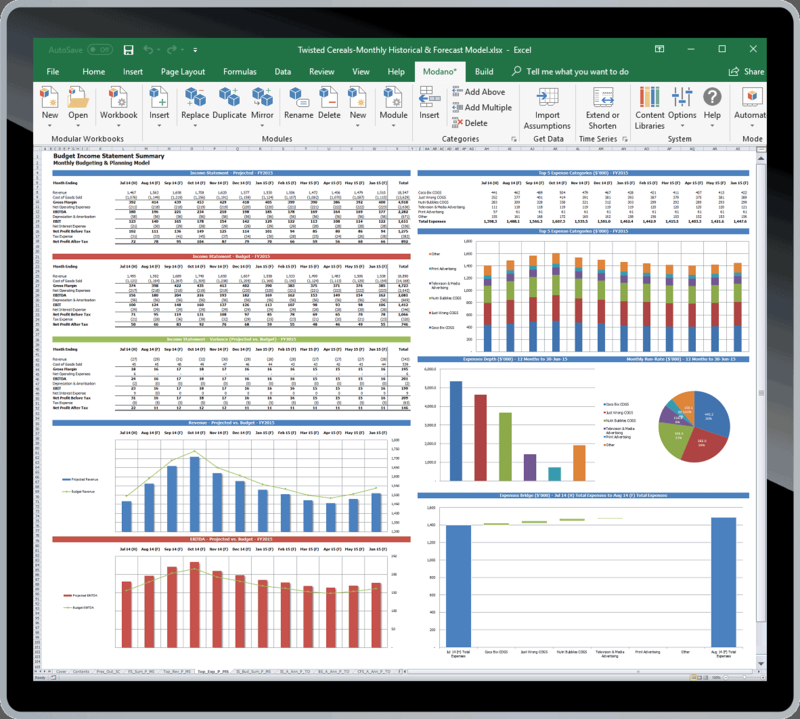 Accurately project your cash, profitability and balance sheet all within the familiarity and flexibility of Excel. 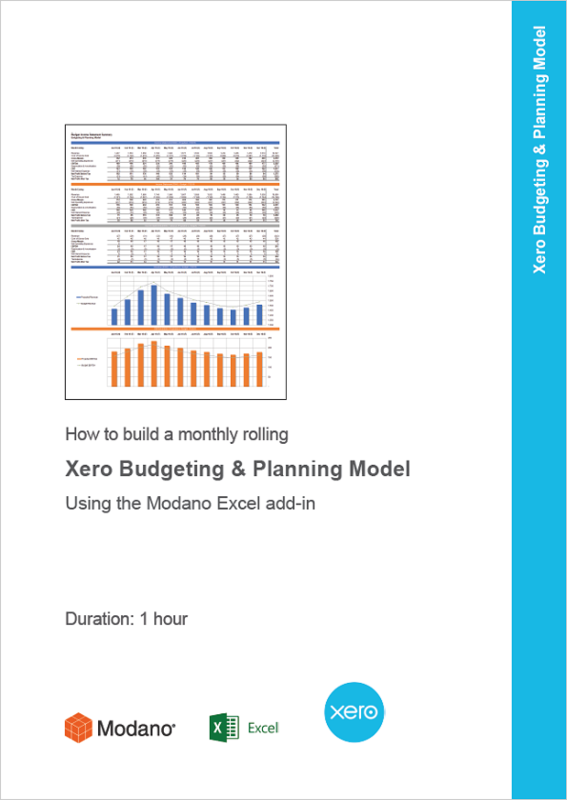 Modano is a do-it-yourself system for accounting practices and Xero users that want to undertake ongoing and reliable budgeting, planning, cash flow forecasting, valuations and deals modeling while reconciling with the information in your Xero accounts. Build your first monthly rolling budgeting & planning model in less than 1 hour using our simple step-by-step guides and extensive online learning resources. Quickly and easily import and reconcile Xero data each month following month-end to perform ongoing strategic and budget variance analysis. Expand your client services to include insightful and accurate profitability, balance sheet and cash flow projections. Quickly and easily customize each model to reflect the specific revenue and expense drivers of each client’s business. Ideal for providing reliable financial information to banks and investors. Stop fighting with spreadsheets and focus on growing your business. Quickly and easily build and maintain a customized budgeting and planning model which automatically imports your historical Xero data and periodically updates as new data becomes available over time. 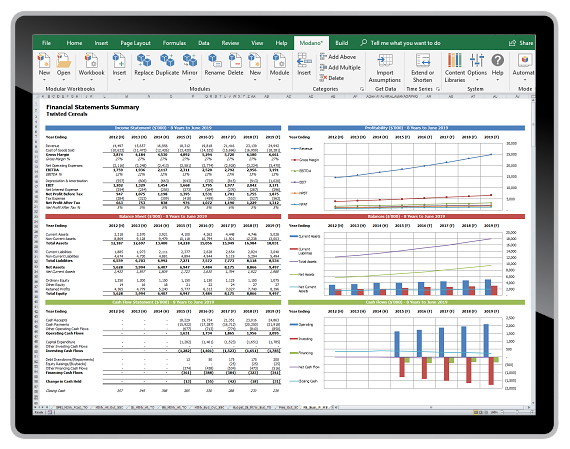 All the power, flexibility and familiarity of Microsoft Excel. Install the Modano Excel add-in. 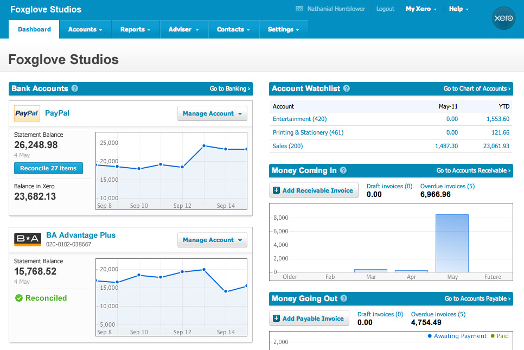 Go to the Modano tab, Modular Workbooks group, New menu and click the New Financial Model menu item. When prompted, select Xero as the source data. 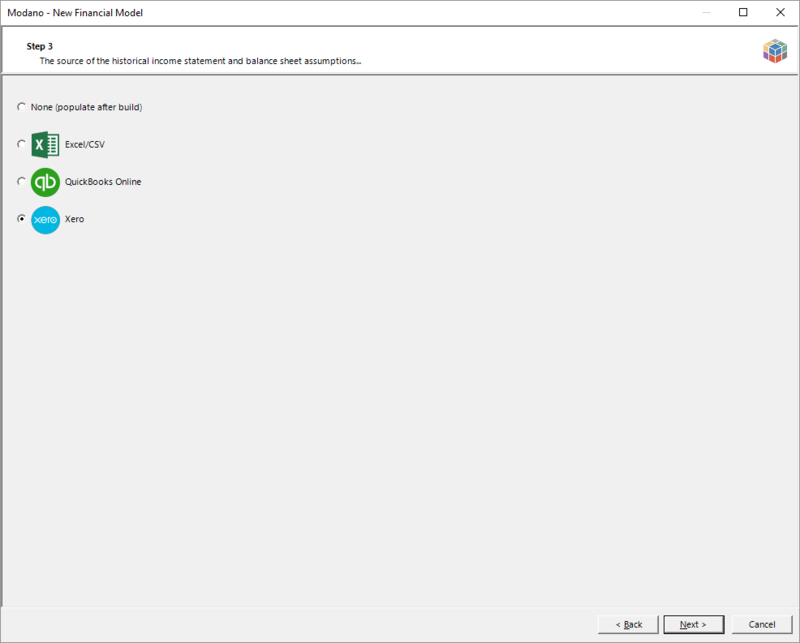 Follow the remaining prompts in the New Financial Model Wizard. Alternatively, you can do the practical training exercise or contact us to discuss training and support options.